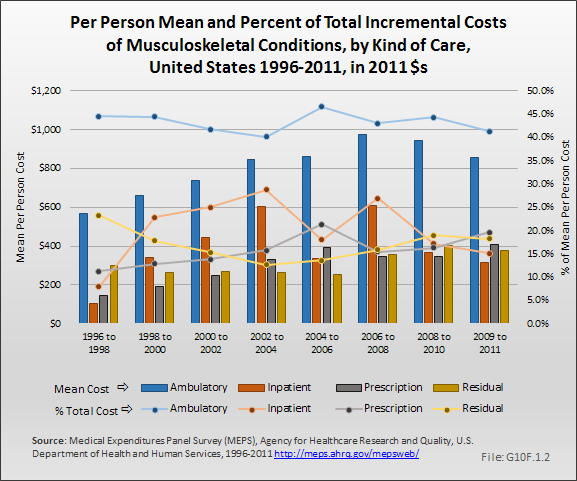 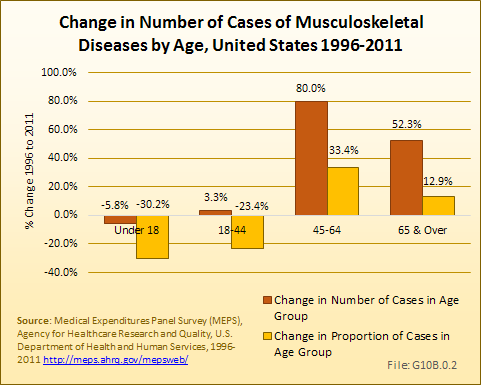 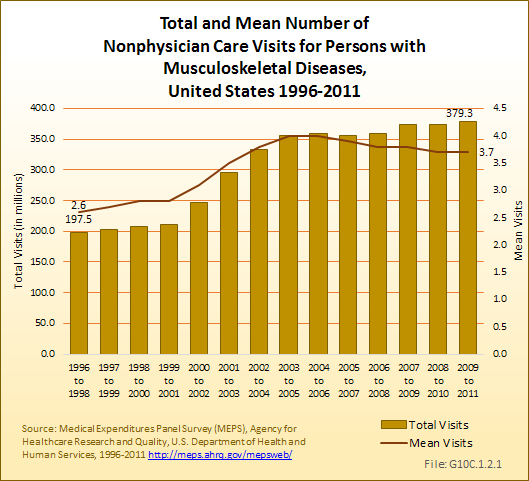 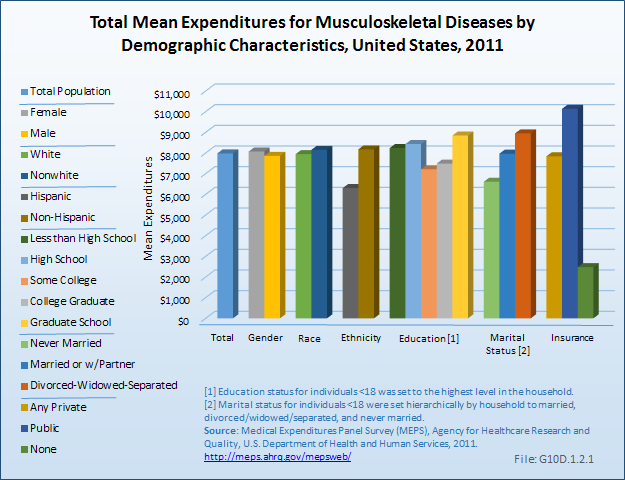 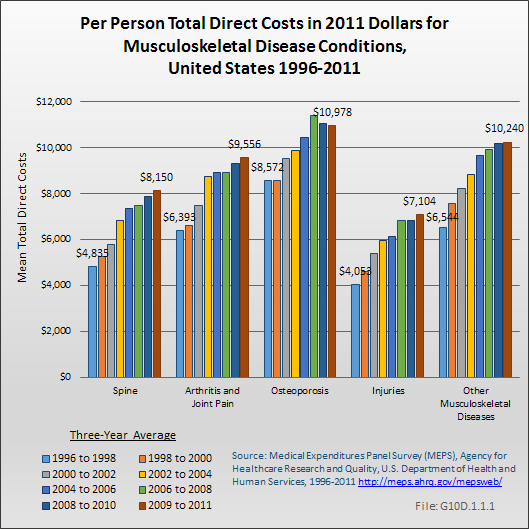 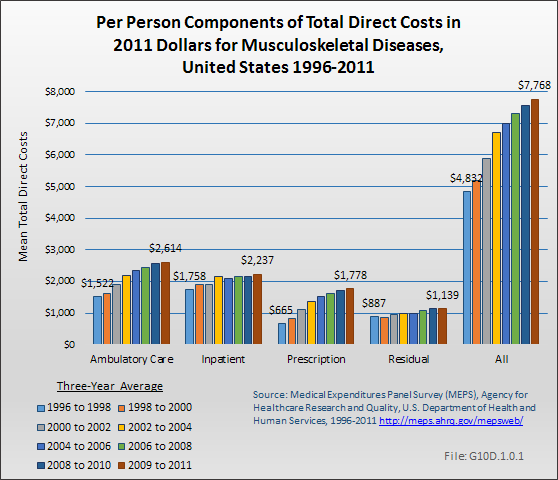 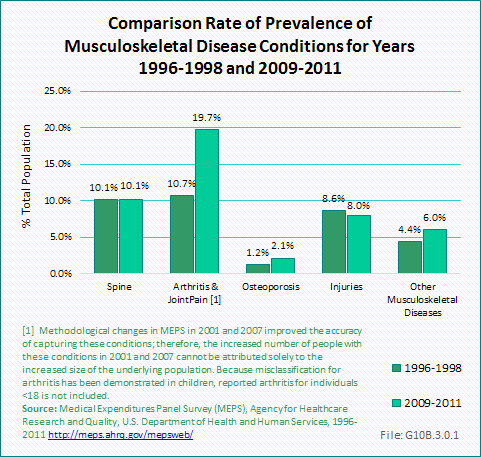 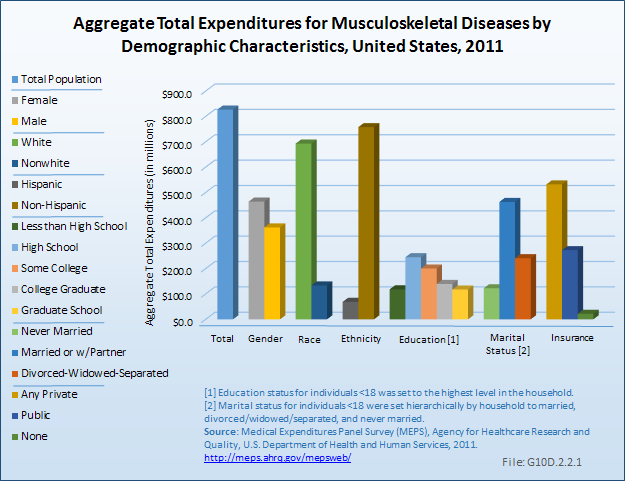 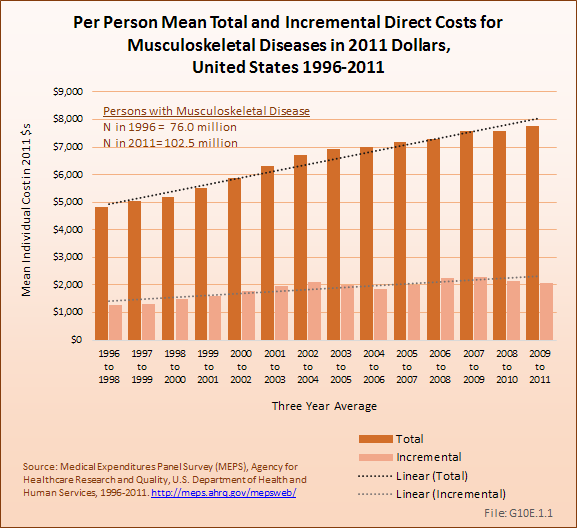 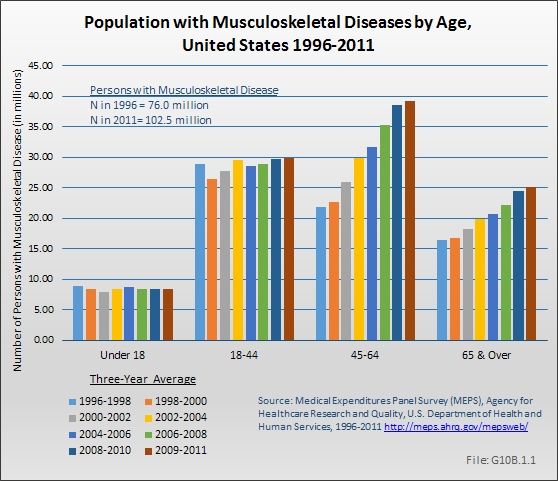 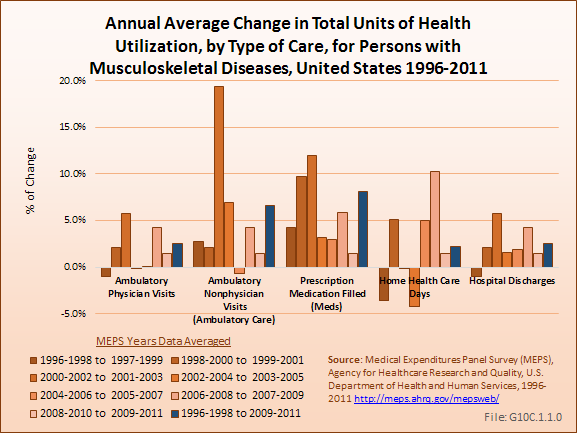 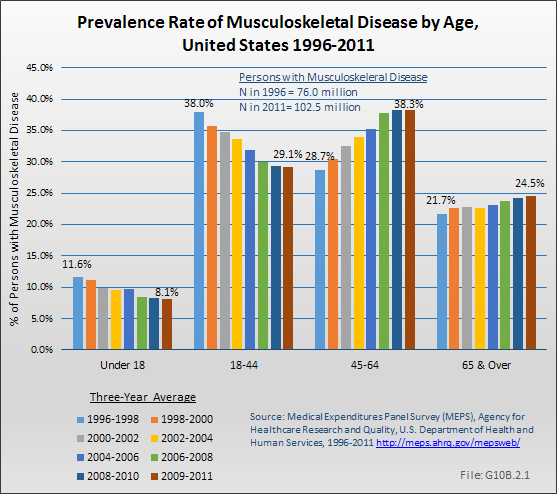 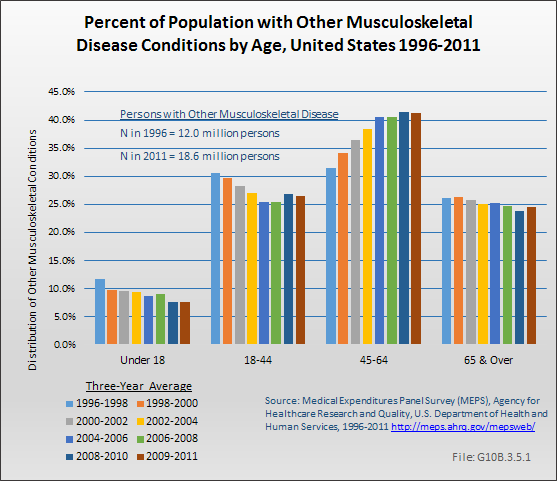 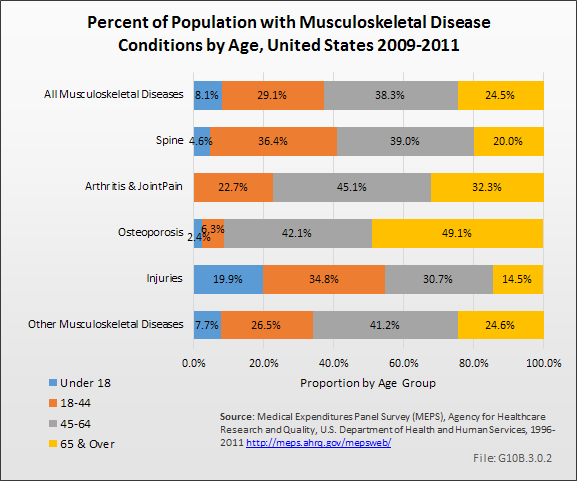 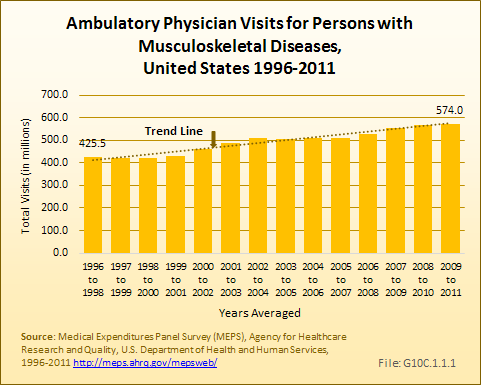 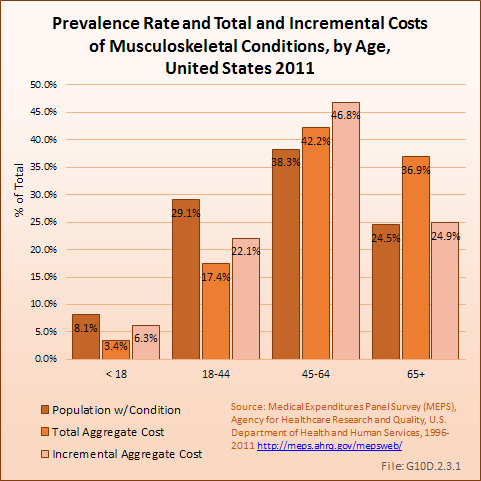 Musculoskeletal medical care expenditures are presented in two ways: (1) for all persons with a musculoskeletal disease, regardless of whether the musculoskeletal disease was the reason for the expenditure (total direct cost), and (2) as a measure of the expenditures beyond those expected for persons of similar characteristics but who do not have a musculoskeletal disease (incremental cost). 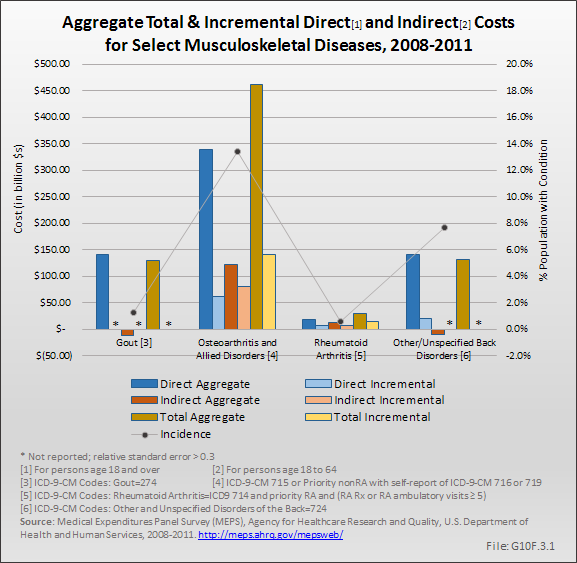 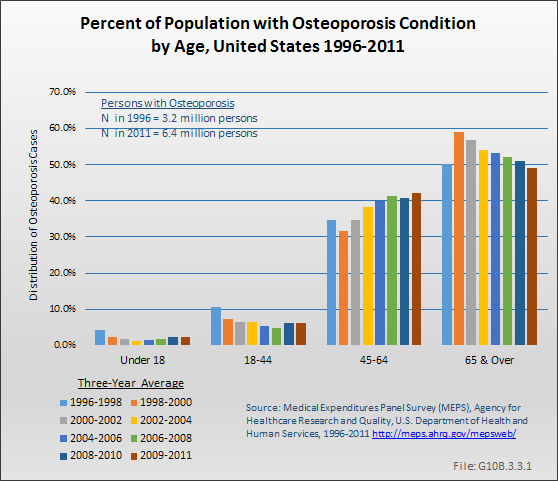 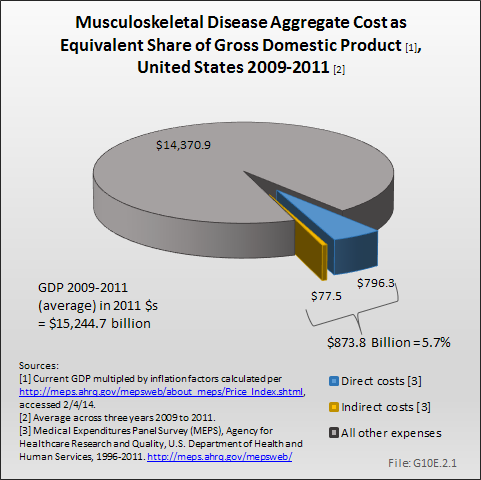 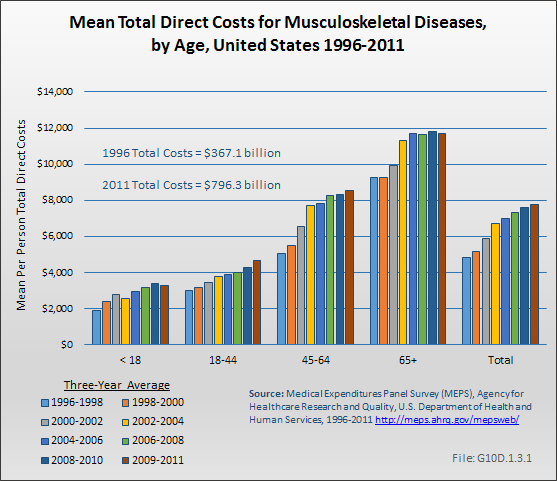 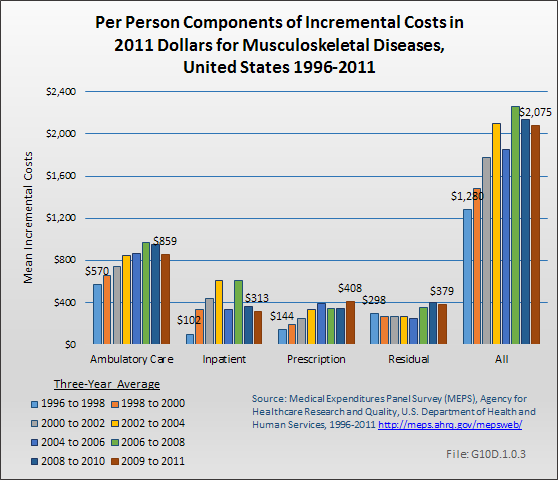 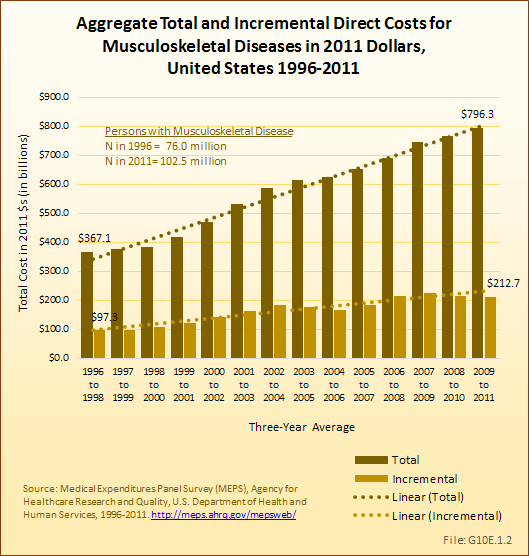 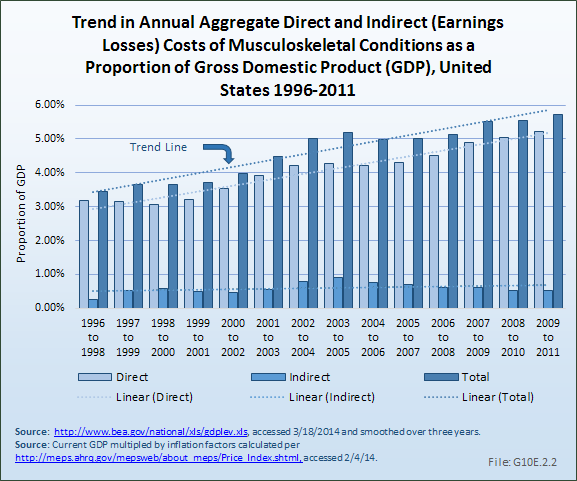 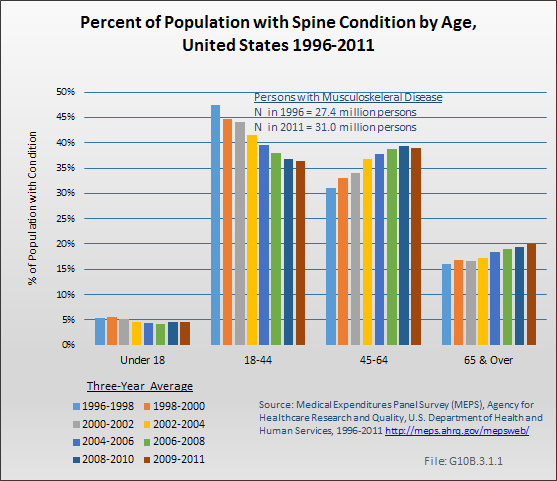 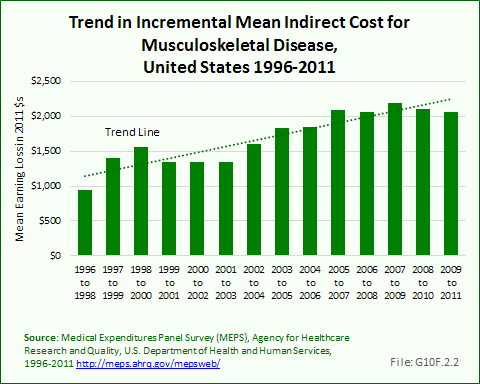 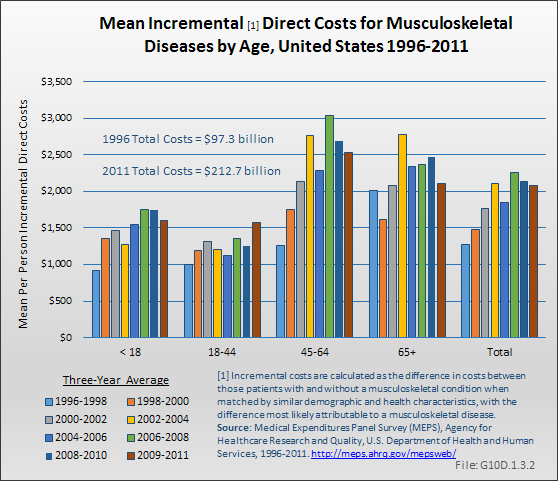 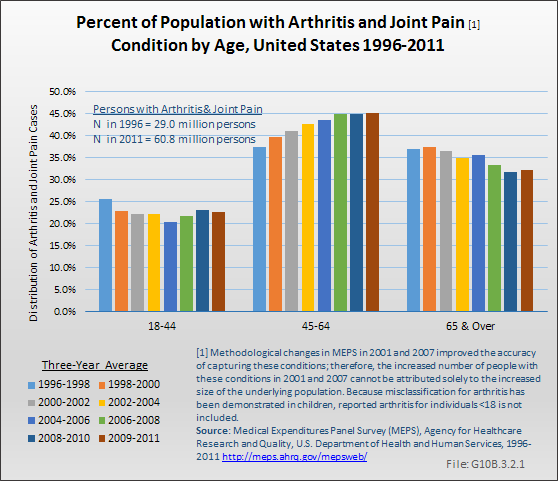 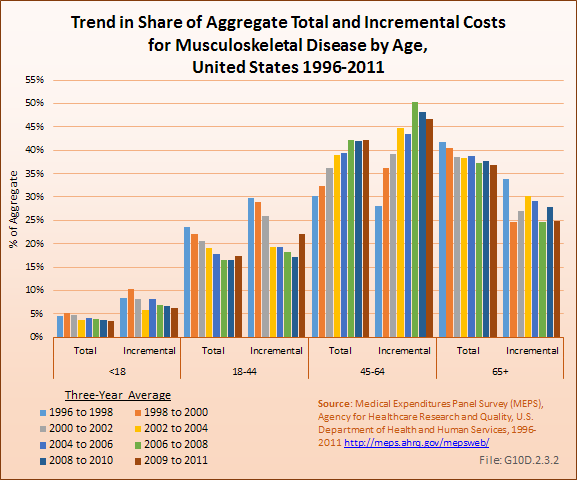 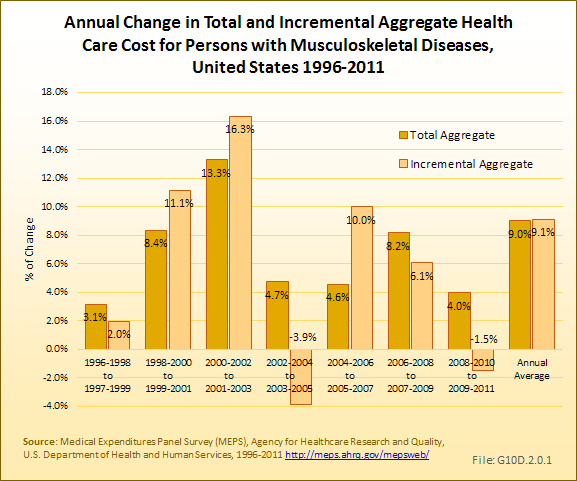 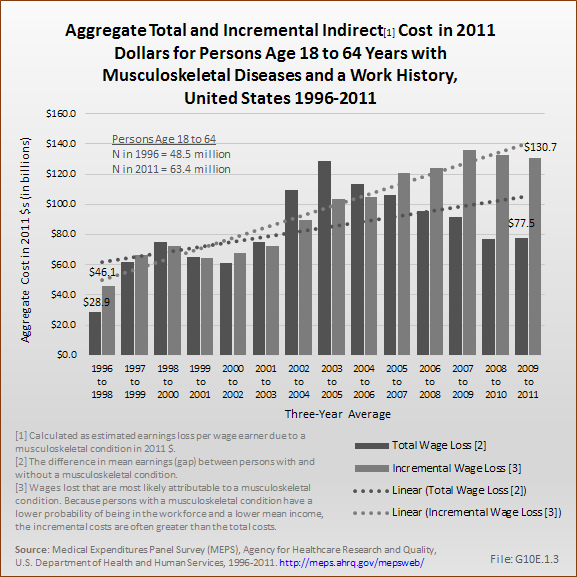 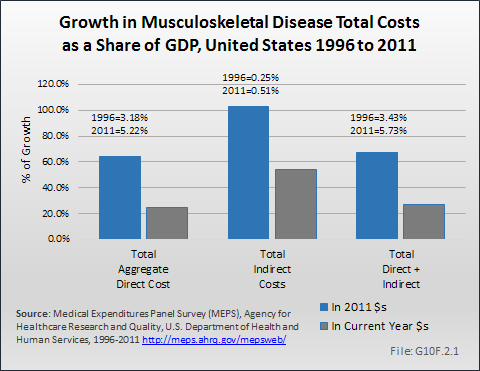 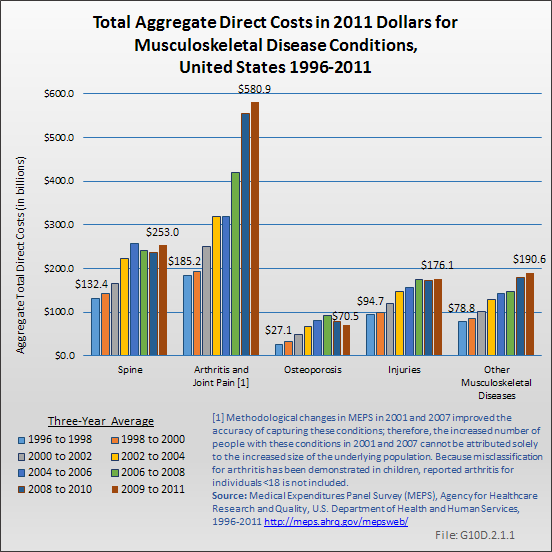 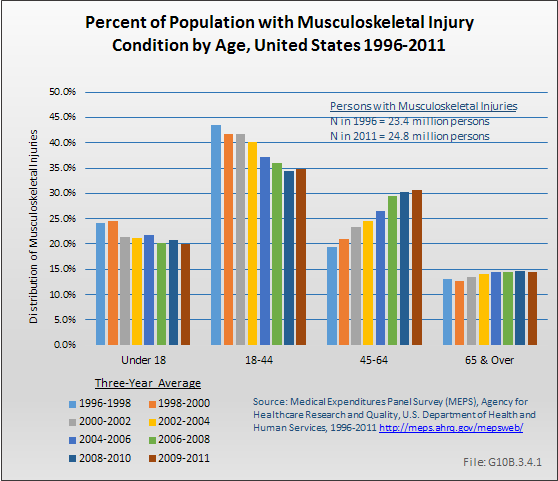 Incremental cost is that share estimated to be directly related to the musculoskeletal condition. 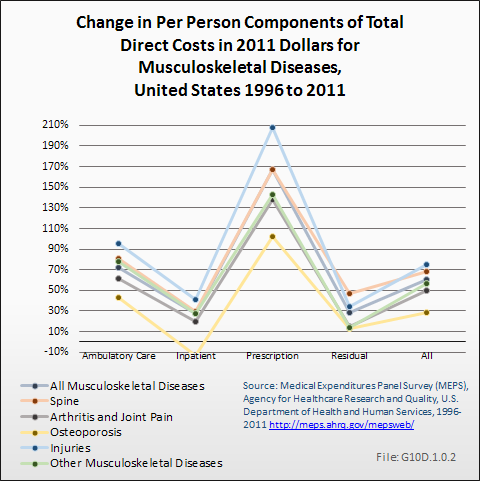 Both total and incremental costs are expressed as the average cost per person with a musculoskeletal disease and as the aggregate cost (sum) for all persons with a musculoskeletal disease. 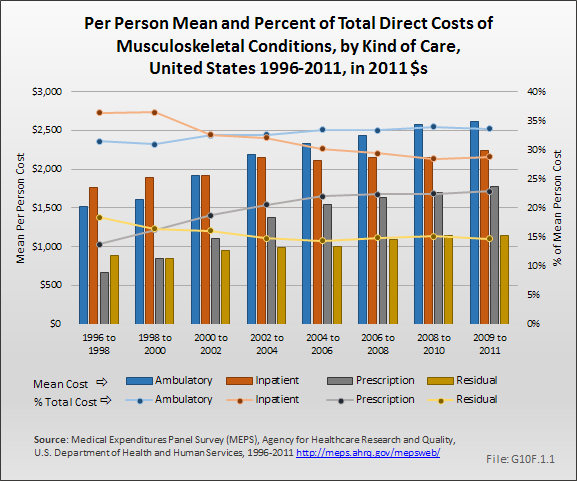 Mean costs are presented for ambulatory care, inpatient care, prescription costs, and a residual for other costs, as well as the total cost. 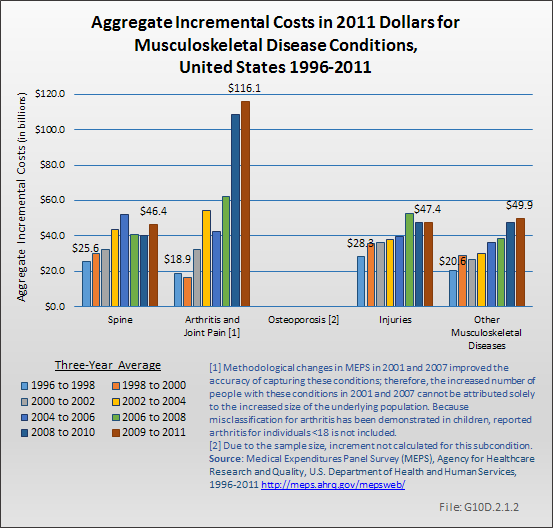 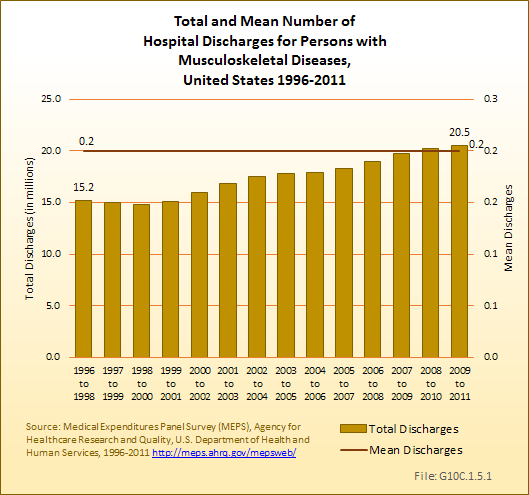 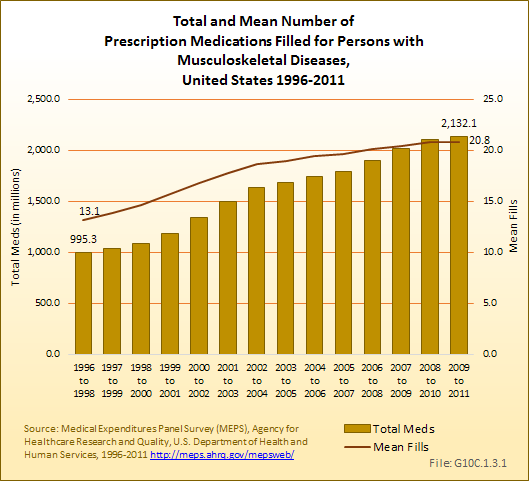 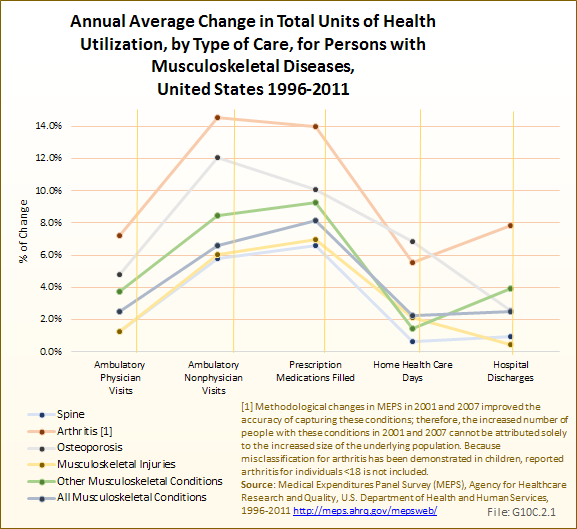 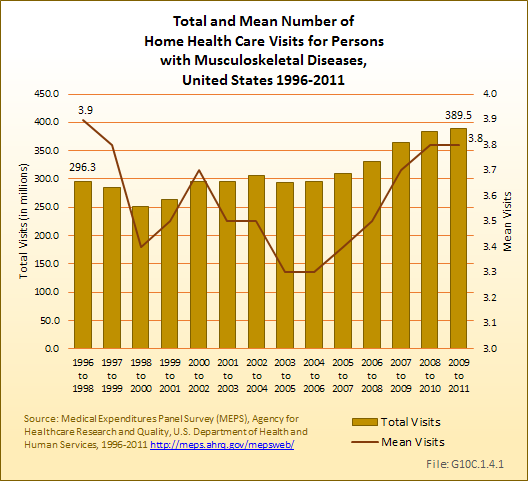 Medical care costs are expressed in both the current year dollars (ie, the year the data was collected) and in 2011 dollars to provide a standard of comparison across years. 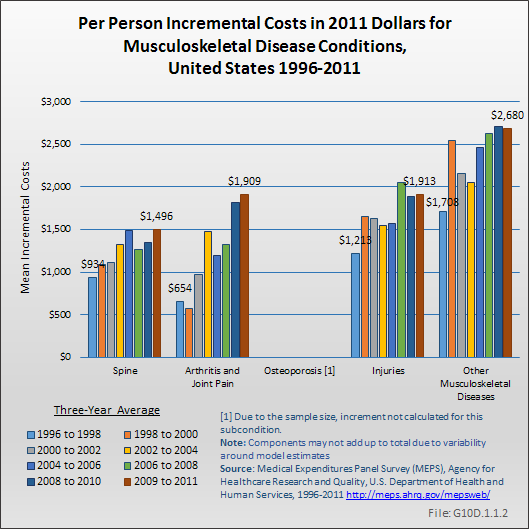 Total and incremental costs for all musculoskeletal conditions and five subconditions are summarized in Table 10.6 PDF CSV.